In this illuminated manuscript, Henry I sits on his throne mourning the loss of his son. Below him, there is a genealogical table of his children, Matilda and William, along with a sketch of the sinking White Ship. Henry I's blue cloak is fastened with a cross-shaped brooch, appearing to be made of gold. 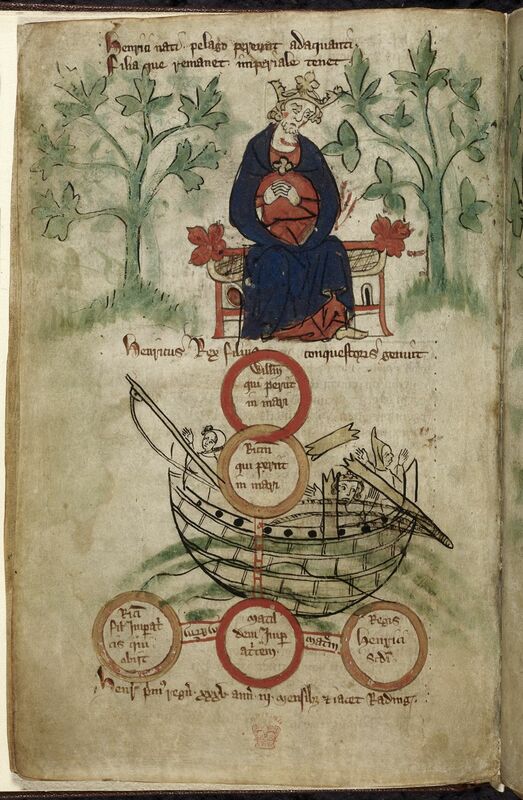 British Library MS Royal f. 6v. 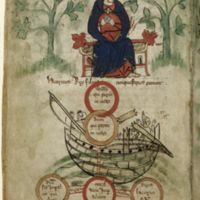 Peter of Langtoft, “King Henry I Mourning the Death of his son, William Adelin, after the sinking of The White Ship (detail from Royal 20 A II ￼ f. 6v),” Medieval London, accessed April 22, 2019, http://medievallondon.ace.fordham.edu/items/show/53.